Almost everywhere across the world, economic inequality has been rising within and across national borders. The vision of a fairer world embodied in the Universal Declaration of Human Rights is being assailed by the advance of conservative ideology aided by vitriolic right-wing populism sweeping across the globe. Neoliberal ideology has had a profound impact in the shaping social work and human services at the frontlines. This book contributes to scholarship in critical practice and theory. It does so by exploring a practice approach steeped in the critical tradition that has hitherto received inordinately nominal attention in social work literature. The book features accounts of consciousness-raising in a variety of contexts – caste relations, race and religion, gender and sexuality, disability and social class. The narratives are meant to tease out conceptions and potential applications of consciousness-raising as an approach for critical practice. It will be of interest to practitioners, educators and students of social work, community development, social development and social pedagogy as well as those engaged in the promotion of human rights and social justice. 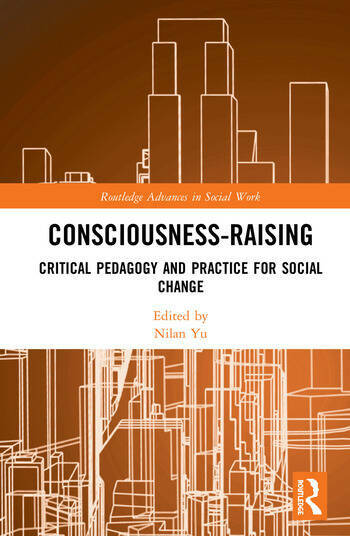 Nilan Yu is a lecturer in social work at the University of South Australia. He has been involved in teaching and researching social work and social development for over two decades. Before joining academia, he was engaged in community development work in urban communities populated by informal settlers/squatters in the Philippines. His current research interests are in the areas of disability, migration and its intersections with disability, ageing, critical practice and policy. He is co-editor of the book Subversive action: Extralegal practices for social justice (with Deena Mandell, 2015) and Faces of homelessness in the Asia Pacific (with Carole Zufferey, 2017).